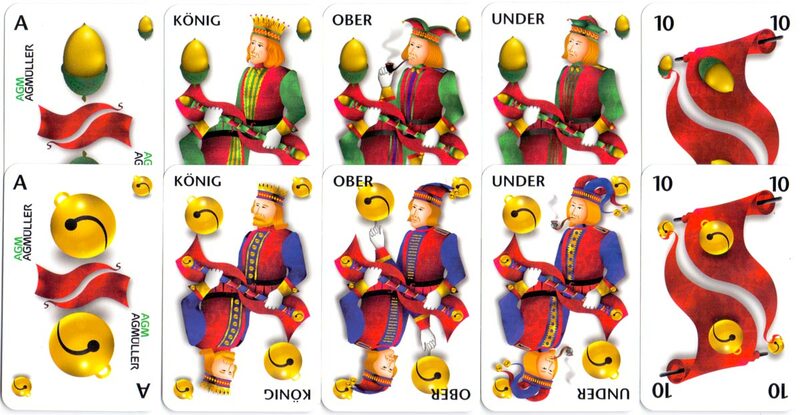 The Modern Swiss-German Pattern by AGMüller, c.2000, also known as “Jass” after the name of the game played with the cards. 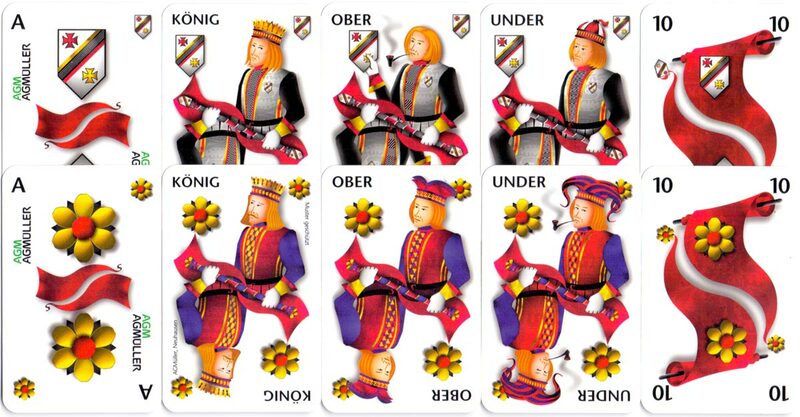 The intention was to replace the traditional Swiss pattern with a modern design produced digitally with 3D effects, but this was not accepted by card players who tend to have conservative tastes. Indeed, the figures have lost their individuality due to the cloning process. 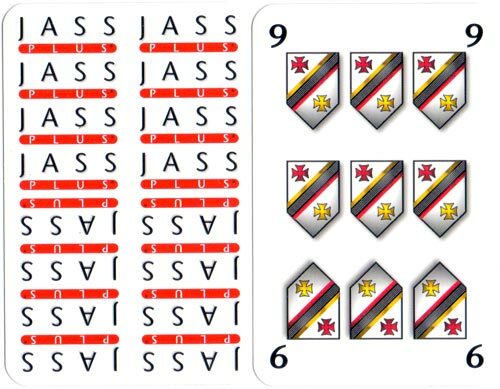 The 10s have a large flag, or ‘banner’, rather than 10 individual suit symbols, which is inherited from 14th and 15th century cards. Above: Modern Swiss-German Pattern by AGMüller, c.2000. 36 cards in box.